Opponents of expansion at Geneva airport have a petition to Le Grand Conseil in Geneva, asking for an end to expansion of the airport. They point out that CO2 emissions from the airport totally cancel out all Geneva’s efforts to reduce greenhouse gas emissions from other sectors, and that sale of jet fuel by Geneva airport increased by 78% between 2000 and 2011. The phenomenal rise in passenger traffic in recent years is mainly due to the development of “low cost” flights, with a lot of growth by EasyJet, stimulating previously non-existent demand for leisure travel. People who do not have any real need or necessity to fly are doing so, and have no regard to the environmental impacts of their flights. 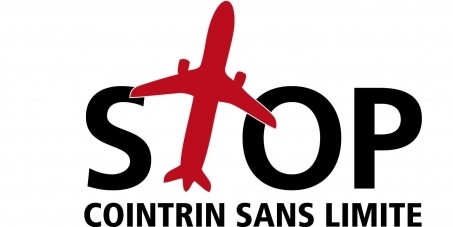 There have been many months of local opposition to plans to build a new terminal – “l’Aile est” which is due to be finished by 2016, to accommodate large planes. Environmental groups including WWF, the Geneva Green party and associations for neighbourhoods next to the airport are deeply opposed to the proposal, saying it will boost air traffic, carbon emissions and air pollution. Other opponents believe that low-cost airlines are flourishing at the expense of passenger rail and that higher airport taxes should be levied to offset the increased CO2 emissions. Le projet « Aile Est » d’extension de l’aéroport de Genève aggraverait les problèmes climatiques globaux et environnementaux locaux, en facilitant la croissance du trafic aérien depuis Genève. – Demandent que le canton de Genève mène une politique pour contenir les émissions de gaz à effet de serre provenant des avions au départ de Genève, au même titre qu’il mène une politique pour réduire les émissions provenant des bâtiments, des transports terrestres et de l’industrie provenant du canton. – Le canton peut notamment créer des dissuasions des vols de courte distance, au profit des transports ferroviaires en augmentant les taxes d’aéroport ou en taxant le kérosène fourni au départ de Genève. The “East Wing” extension project of Geneva airport exacerbate global climate and local environmental problems, facilitating the growth in air traffic from Geneva. – Request that the canton of Geneva has a policy to contain emissions of greenhouse gas emissions from aviation from Geneva, just as it has a policy to reduce emissions from buildings, land transport and industry from the town/canton. – The canton may create disincentives for short haul flights in favour of rail transport by increasing airport taxes or taxing kerosene supplied from Geneva. Les émissions de l’Aéroport de Genève réduisent à zéro tous les efforts genevois de réduction des gaz à effet de serre ! A Genève, le kérosène pour l’aviation était l’agent énergétique le plus vendu en 2011…et la vente de ce carburant a augmenté de 78% entre 2000 et 2011. La progression phénoménale du trafic passagers de ces dernières années est principalement due au développement de l’offre « low cost ». L’aéroport de Genève a favorisé l’arrivée d’Easyjet avec des taxes d’aéroport parmi les plus basses d’Europe. En 2012, la part totale de ces vols à Genève était de 42% ! Ces vols low cost ont stimulé une demande jusqu’alors inexistante, celle de voyages de loisirs opportunistes, qui ne répondent à priori à aucun besoin ni aucune nécessité eu égard aux conséquences environnementales qu’ils engendrent. Emissions from Geneva airport totally cancel out all Geneva’s efforts to reduce greenhouse gas emissions! In Geneva, kerosene for aviation fuel was the top selling fuel in 2011 … and the sale of the jet fuel increased by 78% between 2000 and 2011. The phenomenal rise in passenger traffic in recent years is mainly due to the development of “low cost” flights. Geneva airport has favored the arrival of Easyjet, with airport having among the lowest taxes in Europe. In 2012, the total share of low cost flights at Geneva was 42%! These low cost flights have stimulated a previously non-existent demand, the leisure travel opportunists who do not have any real need or necessity to fly and have no regard to the environmental impacts their flights generate. A plan to build a new 350-million-franc terminal at Geneva’s airport is facing opposition from environmentalists and community groups. The east wing terminal, known in French as “l’Aile est” is scheduled to be finished by 2016, to accommodate jumbo jets and other large planes. Groups such as the WWF, the Geneva Green party and associations for neighbourhoods next to the airport are slamming the proposal, saying it will boost air traffic and air pollution. “This will allow the airport to expand traffic, the number of (plane) movements, which will impact harder again on our region,” Yvan Rochat, executive municipal councillor for the nearby municipality of Vernier, is quoted as saying by the Tribune de Genève. The Noé21 association, another one of the groups against the new terminal, noted that consumption of kerosene, the aviation fuel, increased 78 percent at the airport between 2000 and 2011. The group claims that is wiping out environmental efforts elsewhere to reduce air pollution in the Geneva region. Other opponents believe that low-cost airlines are flourishing at the expense of passenger rail and that higher airport taxes should be levied to offset the increased carbon dioxide emissions. Management at the airport, however, maintain the new terminal is not planned to boost traffic. “This will not create traffic, the growth is already there,” airport spokesman Bertrand Stämpfli told the Tribune de Genève. The terminal is meant to improve the comfort of passengers and to improve facilities for planes prior to takeoff and after landing, Stämpfli indicated. “Our role, defined by the Confederation (federal administration), is to welcome the traffic that is existing in good conditions,” he said. The Federal Office for Aviation is opening up for public comments a request to expand Geneva airport. The plans call for a new east terminal to be built. It would be 520 meters long and 20 meters wide with new lounges for passengers. Construction would begin next year and last for about three and a half years. Comments will be taken until the beginning of June. The government will announce its decision within a year. A new terminal project named ‘Aile Est’ starting in 2012, will modernize and extend Pier C following a complete reconstruction. The new pier will be able to accommodate up to six widebody aircraft at once, including an Airbus A380 capable gate. A new gate for narrowbody aircraft will be created where the current pier C is located. Some of the new gates will be able to accommodate either one widebody or two narrowbody aircraft. Construction is scheduled to finish by 2015. The new terminal is estimated to cost about 300M Swiss Francs, and will be about 530 meters long and 15 meters wide. This new terminal will replace the temporary terminal that was built during the 70’s. T2 is used during the winter charter season. This was the original terminal at Geneva Airport. It was built in 1946 and remained in use until the 1960s when the Main terminal opened. Facilities at T2 are poor, with only one restaurant and no duty free shops. Passengers are only checked-in at this terminal, and then, sent to the main terminal with a low floor bus. Geneva Airport wanted to refurbish T2 as a low-cost terminal. At this time EasyJet was the major low-cost airline in Geneva with up to 80 flights a day during winter. Other major airlines at GVA threatened to leave the airport if EasyJet had its own terminal with lower landing charges. Since then, there has been no information about an upgrade of T2 facilities.